BBB is proud of the participation of Dimitris Maragkos, project manager in Balkans Beyond Borders, at the project “DIALOGUE ON EUROPE” in Brussels, presenting the policy paper regarding social cohesion. 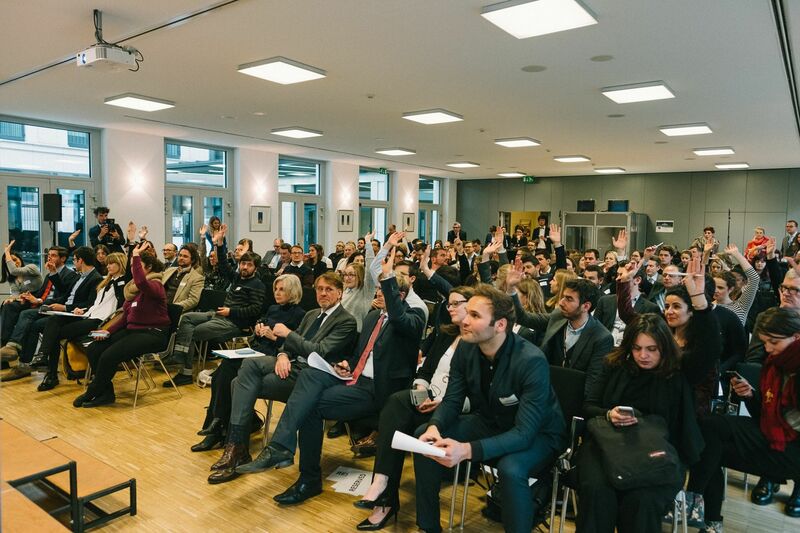 After more than two years of trans-European civil society exchange, 60 contributors of the DIALOGUE ON EUROPE project presented their four policy briefs on Migration and Integration, Populism, Social Cohesion and Sustainable Growth to the new German Foreign Minister Heiko Maas as well as to the Minister of State Michael Roth in Brussels on Monday 19th of March 2018. The multilaterally developed policy recommendations of four “Thinking Labs” with participants from France, Germany, Greece, Italy, Portugal and Spain are an offer to stimulate and enrich the debate about the future agenda of the European Union. The Thinking Labs presented their proposals in an interactive ‘Market of Ideas’ setting, giving the conference participants from the Brussels political sphere the opportunity to discuss with members of each Thinking Lab face-to-face. The honorary guest and keynote speaker Heiko Maas, German Foreign Minister, stressed the innovative character of the project, underlining that he considered it as “exactly right and delivered at exactly the right time to reduce the distance between citizens and politics”. Michael Roth, German State Minister for Europe and avid participant in the DIALOGUE ON EUROPE process, also addressed the audience, highlighting the “energy and spirit” of the project and that he “could not agree more with the policy recommendations – keep up this spirit and will to participate”. The ministers’ speeches were followed by a lively panel discussion of the recommendations moderated by Natasha Walker. The panelists were Michael Roth, Isabelle Maras as a representative of the DIALOGUE ON EUROPE Thinking Labs, Nicola Forster, director of the think tank foraus, and Gaëtane Ricard-Nihoul, Deputy Secretary-General for the implementation of the EU-wide dialogue format “Citizens’ Consultations” at the French Ministry for Europe and Foreign Affairs.